What Does Nancy Pelosi Mean Calling a Border Wall Immoral? What would make a border wall immoral? That is the question I have been pondering the past few weeks as headlines carry updates on the government shutdown over funding. President Trump insists there will be no deal without funding for the construction of a border wall. Recently restored House Speaker Nancy Pelosi and Senate Minority Leader Chuck Schumer both insist there will be no such funding if they have anything to say about it. But Pelosi has taken things further than mere disagreement. In a video taken January 4th, she goes as far as to say that a border wall with Mexico would be immoral. Her having practical arguments against the opportunity cost of building a wall versus other measures – that I would possibly respect if not agree with. If she said she was concerned about offending our southern neighbor, or Mexican-Americans who live in the U.S. already, I could appreciate her honesty. Claiming that the idea of a border wall is immoral, however, rings strange and strains credulity. What is the argument here? On what basis would a border wall be immoral? Please, Speaker Pelosi, refer to the standard of goodness which this falls short of so that we can understand you better. I think we should not hold our breath waiting for her to answer us on that account. Yet whether Pelosi ever does explain her reasoning or not, I would hazard a speculation – the only one that makes any kind of sense to me for what would inspire the newly re-elected House speaker to take such a position. Is a Border Wall Immoral? If I were a Democrat, relying heavily on arguments of racism to give me an edge with minority voters over my Republican rivals, I might feel any measure which stood to erode my support with that constituency would be immoral. That would include acquiescing to President Trump’s demand for wall construction funding, if compromise were seen as tacit support of his “offensive” plan. If I were a Democrat and had lived in an echo chamber of like-minded moral crusaders for decades, and if I perceived a border wall as a threat to the common cause, I might claim the border wall was itself immoral because of what it represented. The Democrats do not merely argue that their platform is more effective than the Republican alternative; it is morally imperative that it, and only it be pursued. A border wall which might limit the influx of illegal immigrants Democrats depend heavily on voting for them would put every other plank of their platform in jeopardy. If normalizing and promoting the LGBT agenda is good, or if protecting the freedom of women to get abortions is right, then Democrats must get and hold offices across the country in order to champion these things. If globalism and single-payer healthcare and Ocasio-Cortez’s ‘Green New Deal’ are righteous causes, they cannot permit their endless stream of illegal voters to be stemmed. Perhaps that is what Pelosi has in mind when she says a border wall with Mexico would be immoral. To recap, international war as a means of expanding territory or resolving disputes has been officially ‘illegal’ since 1928. That is when The Kellog-Briand Pact was signed, ostensibly to prevent anything like World War I from ever happening again. You and I know this pact did not prevent World War II, the Korean War, the Vietnam War, or countless other deadly conflicts. 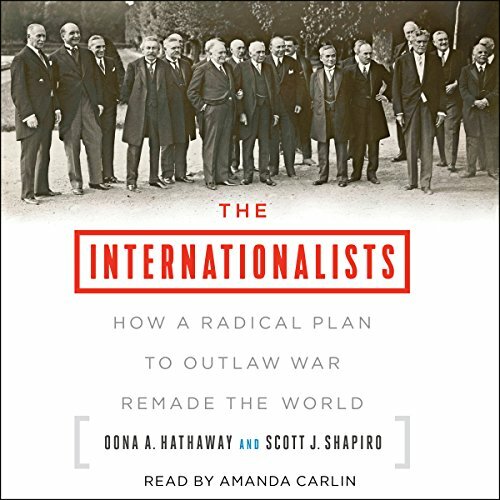 However, what was seldom recognized – at least prior to the publishing of Hathaway’s and Shapiro’s The Internationlists – was that the framework for interpreting and addressing conflicts has never been the same since 1928. What is important to note is the global vision of Progressive Presidents Woodrow Wilson and Franklin Roosevelt related to not only world peace, but also a profound and fundamental reformation of humanity, starting at home in the U.S.
Of course, border walls are defensive rather than offensive measures. President Trump is not going to invade Mexico with a border wall, thereby violating international law. Though that fact initially threw me for a loop, I see now that this is beside the point. Any measure whatsoever which reminds Americans, and also the world at large, that national self-interest and self-preservation is not only legitimate, but a great and necessary good is a threat to the larger narrative and goal. In short, the ultimate goal for securing world peace is and has been for almost a century to dissolve nations into a global government. Initially, the governing body was The League of Nations. Thereafter, and to the present, we have The United Nations. The purpose of these two successive bodies was, and still is, to resolve conflicts. But the intellectuals who devised the plan of internationalism as an antidote to World War I knew they needed to become proactive rather than reactive in order to achieve real and lasting success. Better than waiting for two nations to be on the verge of conflict, they contrived a plan in which – they hoped – there would eventually be no such thing as separate nations. In Europe, we have seen the grand experiment of the EU. And we have seen mind-boggling mass immigration from Africa, the Middle East, and “Asia” which makes no sense apart from internationalism. The high cost of European women being harassed, assaulted, and raped across the continent, and of European men being systematically emasculated is not lost on the powers-that-be overseeing the transformation. Rather, they swallow this cost because they have persuaded themselves that the prize of abolishing once and for all nations and international war will be worth this cost. Just so, Progressives in the U.S. have pursued similar aims. 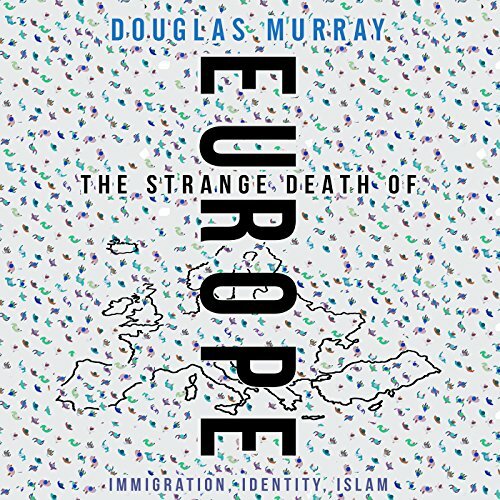 It is said by Douglas Murray in The Strange Death of Europe that the U.S. is only 20-30 years behind Europe in pursuing all the same policies. That is to say – and this is not a secret – that the Democrats would like to see a North American Union formed which is just like the European one. Just so, the seeming recklessness of bringing in “refugees” and illegal immigrants from the Middle East and Latin America is no accident. In short, the reason Nancy Pelosi says a border wall with Mexico would be immoral is because she is a Progressive who has firmly in her sights a starkly contrasted vision not only for domestic, but also international affairs. This is not a new scheme. Hers is a plan which has been in the works for a century now. The moral framework within which it rests is shared by globalists and Progressives not only throughout our country, but throughout the world. The ultimate goal is to dissolve national boundaries. Naturally, the construction of a massive wall between the U.S. and Mexico would be a large step backwards, and a repudiation of so much careful planning and maneuvering by so many, over such a long time.